By the time Loyola students are settling into the swing of the spring semester, Gov. elect J.B. Pritzker will have been inaugurated as the new governor of Illinois. 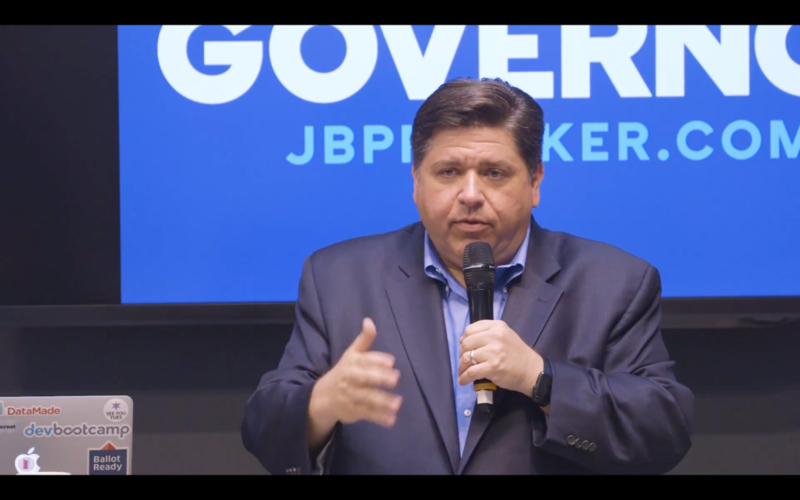 Promises of changes to state policy which filled television commercials and internet ads during Pritzker’s campaign could be put into works and potentially enacted. Pritzker, a businessman and billionaire heir to the Hyatt hotel chain, defeated Republican incumbent Bruce Rauner in November’s midterm elections and will take the Illinois governor seat Jan. 14. In an email to The Phoenix, a Pritzker spokesperson shared where the Democrat stands on issues some Loyola students consider important, including higher education, immigration including Deferred Action for Childhood Arrivals (DACA), gun violence and the environment. Pritzker intends to expand Monetary Award Program (MAP) grants — college funds for financially eligible students which don’t need to be repaid, according to the email. At Loyola, students’ eligibility for a MAP grant is based on expected family contribution — a figure generated by the Free Application of Federal Student Aid (FAFSA) which estimates how much a family can contribute to tuition and other fees, according to Loyola’s Financial Aid Office website. Based on this number, and a student’s Illinois residency status, the school determines if they are eligible, the website said. Pritzker’s spokesperson said as governor he wants to reduce the cost of refinancing college loans — meaning it would be cheaper to get a new loan to pay off old ones, and he would increase funding for universities and community colleges. John Frendreis, a political science professor at Loyola, said improving higher education can be challenging unless Illinois officials address problems with the state budget. According to a statement from the Illinois Governor’s Office of Management and Budget, the budget for the 2019 fiscal year is out of balance by $1.2 billion. The state hasn’t published a balanced budget since 2001, according to the Illinois Policy Institute. 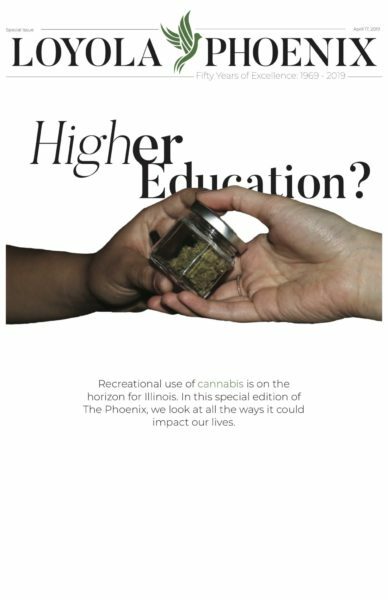 “It’s hard for the governor to make a lot of significant changes to areas like support for higher education unless that overall budget is really addressed once and for all,” Frendreis said. Among other issues, the email said Pritzker will try to find a permanent solution to give DACA students the ability to stay in the United States to “pursue the American dream” with better opportunities for education and healthcare. DACA, a program formed in 2012 by former President Barack Obama, granted renewable two-year deferments from deportation to people who came to the United States as children. Loyola has a large population of undocumented students on its campus with about 140 known students enrolled last year — approximately half of which were DACA students — The Phoenix reported. Additionally, Loyola’s Stritch School of Medicine has enrolled a significant number of DACA students in its program and has become the most concentrated community of doctoral medical students in the nation, The Phoenix reported. Pritzker additionally has plans to push Illinois toward 100 percent renewable energy, and he wants to make water cleaner, reduce energy use and provide better support to environmental agencies, the email said. Michael Lachenmeyer, a sophomore political science and international studies double major, said he thinks restrengthening environmental regulations on the statewide level is important. Another one of Pritzker’s goals is to curb gun violence by investing in more community programs to increase non-violent conflict, according to his spokesperson. Lachenmeyer said he doesn’t think Pritzker’s proposals are addressing larger issues surrounding gun violence. While Lachenmeyer noted he likes Pritzker’s proposed policies, he questioned if they’ll really be enacted. To implement changes, he’ll need the general assembly to pass new laws while the Democrats are in control of both chambers and Pritzker works closely with Illinois speaker of the House Michael Madigan. However, it’s tough to predict how cooperative legislators will be. Maddi Perdue, a sophomore environmental policy and global and international studies double major who worked on Pritzker’s campaign, said his continued hard work while holding a significant lead in the race against Rauner proved he has the potential to make progress on issues in Illinois. Frendreis said while these promises can be easy to make during a campaign, it can be challenging for politicians to enact them once they are in office. “A very significant question is the expense of which [Pritzker] is going to be able to work effectively with the leaders in the democratically controlled state legislature — the State House and the State Senate,” Frendreis said. Frendreis also said Pritzker could have difficulties because he’s never held political office. Perdue said Pritzker’s roots could also help his success while in office. The Phoenix couldn’t reach the Illinois Republican Party at the time of publication.